Did you know that February is National Lactose Intolerance Awareness Month? I didn’t and I am excited to share with you the news that Yoplait has announced its new Yoplait® Lactose Free yogurt. Yoplait Lactose Free is available in four delicious flavors, Strawberry, Peach, French Vanilla and Cherry. 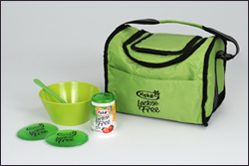 Yoplait Lactose Free contains 50% of the recommended Daily Value of calcium, with vitamins A and D in every cup. Lactose Free contains no artificial sweeteners and can be used in some of your favorite recipes. I was super excited to try Cherries With Cherry Vanilla Yogurt. Instead of using Yoplait Light Fat Free cherry vanilla yogurt I used Yoplait Lactose Free Cherry Yogurt. It was the perfect before bedtime snack. I also changed different flavors and fruits. I took 1/2 cup stemmed and sliced strawberries and put them in the bottom of my dish. I then took Yoplait Lactose Free Strawberry yogurt and spooned it on top of the strawberries and topped it with grated dark chocolate. The combinations are endless! I look forward to using Yoplait Lactose Free Yogurts in many of my other favorite recipes. I really couldn’t tell a difference in taste between regular Yoplait Yogurt and the Lactose free yogurt. Both are very creamy and still my favorite yogurt brand. I bought all four of the flavors and Cherry was my favorite but the kids are standing firm that their favorite is Strawberry and Peach. Be one of the first to try new Yoplait Lactose Free. Click here to enjoy a coupon for $0.30 off Yoplait Lactose Free. You can learn more about Lactose Intolerance and How to tell if you are Lactose Intolerant by visiting Everyday Health. New Yorkers deserve the best: quality buildings, skilled workers who contribute to our economy and career opportunities to secure our future. I support union carpenters and contractors and want union carpenters and contractors who live and work in my community to build New York’s future. Here is the situation: You need a greeting card. You go to the store. Spend a countless amount of time searching for the perfect card. Wait on that long line to check out get home and just when you think you are all set to mail it out you realize you are out of stamps! At this point you are wishing that you had magical powers to mail out your card. Well the folks at MoonPig.com have created the perfect answer to our greeting card needs! Moonpig.com has a huge selection of greeting cards just waiting to be personalized for your next greeting card occasion. Moonpig.com offers a new concept in buying greeting cards. Moonpig.com allows you to order most of the best selling greeting card designs you see in the shops, but allow you to personalize the caption and in some occasions the pictures to create a completely unique card. Not only does Moonpig.com personalize your greeting card, they print and mail it to your recipient too! Or you can have it mailed to yourself in a blank envelope. However since orders shipping is based on the weight and size of the order, it might cost slightly more. Moonpig.com print and mail most of their card orders from their US production facility in New Jersey. However they also operate production facilities in the United Kingdom and Australia. All cards are posted by First Class or Airmail. They do offer special delivery options at an extra cost. With same day shipping for orders placed before 2pm est. Monday through Friday, you can expect your card to arrive in 1-4 business days within the USPS. 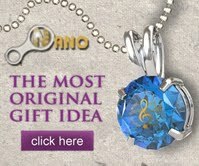 You can see more about their shipping details here: http://www.moonpig.com/us/Help/DeliveryPostage/Default.aspx. The process of personalizing and creating your cards is fast and easy (unless you are like me and picking the perfect card takes forever and you find yourself getting side tracked looking at all their amazing cards!) In just 5 simple steps you will be all set! Cards range in price from $3.99 for standard cards and $7.99 for large cards. The rules state that the first 100 who sign up at 10:01AM eastern get it. Call 1-800-246-5405 or use the contact form to receive a complimentary sample pack, complete with all natural meats, poultry, and organic vegetables. Sample pack delivery subject to discretion of Five Star Home Foods. Please note that we can not deliver to all states/counties. Use the State and County menus to see if we currently serve your location.